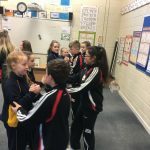 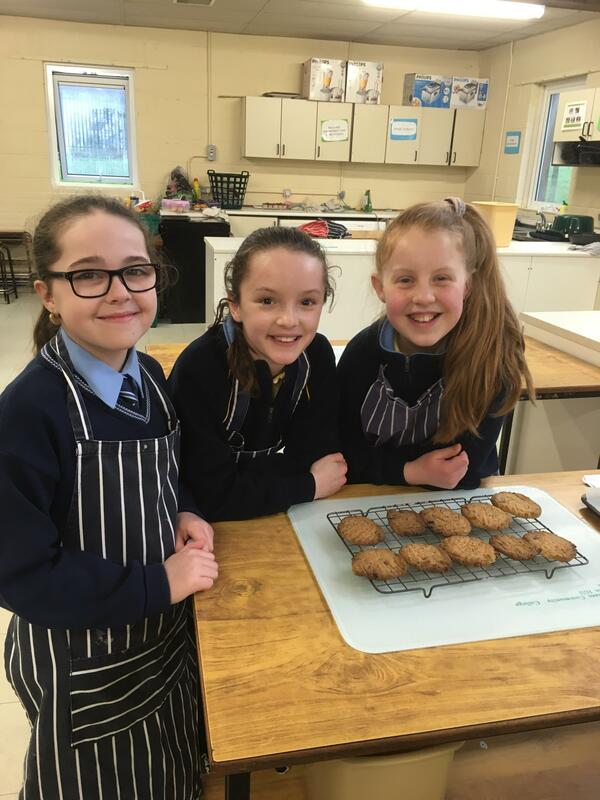 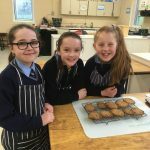 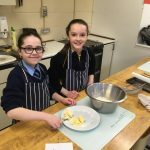 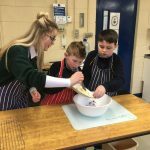 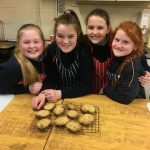 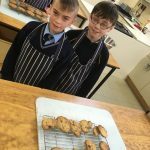 Mrs.Quinlan’s 4th class were invited to St.Aidan’s yesterday for ceilí dancing and cookery! 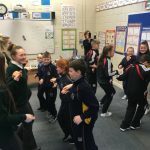 We had great fun dancing “The walls of Limerick” and “The siege of Ennis”. 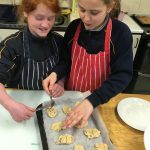 We baked delicious chocolate chip cookies too!